Make your social media content pop! Spending hours crafting valuable and interesting content for different social media platforms, only to watch it disappear into the black hole of competing noise is discouraging. Especially when there was so much else to do. But it doesn’t have to be this way. 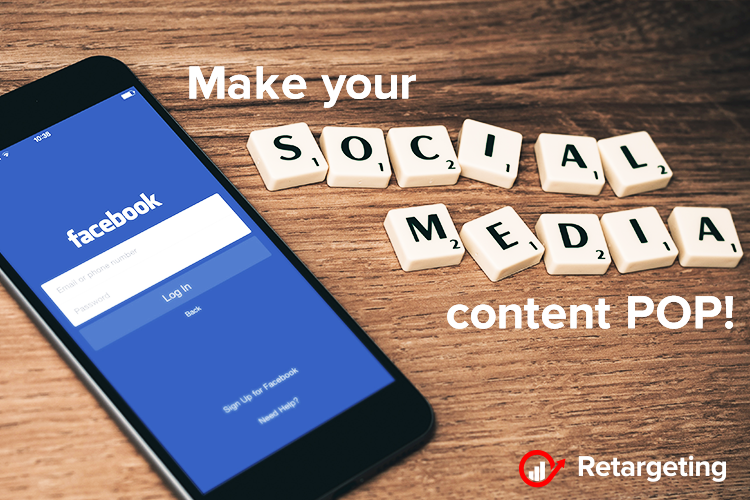 With one idea, you can hit all of the social media platforms, your content will go further, and you will save time on social media marketing. It all starts on your blog! The first logical step is your blog, the place for fresh ideas. The most effective posts are 1,000 words or longer and include relevant keywords related to the post. For every 1,000 words, you should include five keywords. This makes it more likely that when someone searches for your keyword, your post will pop up. It goes without saying, your blog posts should be relevant, high quality, error-free, well-researched material that helps your dream customer in some way. If you are going to spend time somewhere, spend it here. It doesn’t matter how well you optimize for search engines if the content is sloppy. Make sure you have a catchy title that draws people in. Include an attractive image and add alt-text to that image with additional keywords related to that topic. Take a snippet from the blog post and post it on Facebook with a photo. Once your blog is complete, with a killer headline and an image that draws people in, copy a couple lines from your post and use it as a post for Facebook. Include a related image. Cut your Facebook post further into three and posts them to Twitter at various times in one day. These can just be short sound bites that capture different angles of your idea. At least one of these should include a link back to your blog. Reconfigure the photo with a catchy title for Pinterest and pin it with a link to your blog. Take the image and reshape it to be vertical. When pinning to Pinterest, make sure you are using keywords. Pinterest is a visual search engine, so hashtags are not useful here. Keywords will be your bread and butter. A few days or a week later, reconfigure the photo and text and pin the post again. Send out a version of the blog as an email to your list with a “read more” link to your full blog post. At the bottom, include a “call to action.” This is the next step you want your reader to take. Maybe it is to read the full blog post. Maybe it is to purchase a product. It could be to comment on your post. Or maybe it is to share on social media. Make a mini blog post caption based on your blog content for Instagram. Similar to your Facebook post, take a snippet to post with your photo on Instagram. After posting, add a comment with 30 hashtags related to the topic. There are scores of hashtags available for every industry and niche. Keep a collection of them and alternate the groups based on the topic. Change your link in your bio to the blog post, and reference the link in the caption. Create a live video that covers an outline of your content in your blog. Live streaming is a great way to capture your follower’s attention. People like the raw, unedited way lives give them a glimpse into who you are. To advertise, start with a teaser post the day before. Then show up at that time and give a brief outline of your post, adding a few other tidbits about the topic you didn’t cover. E-commerce trends: What will next year bring?